Do you know what makes the Valdadige Sfizzi so unique? The careful selection of the ingredients, which include the Senatore Cappelli remilled durum wheat semolina obtained exclusively from organic farming, organic extra virgin olive oil, a pinch of salt and a bit of yeast. 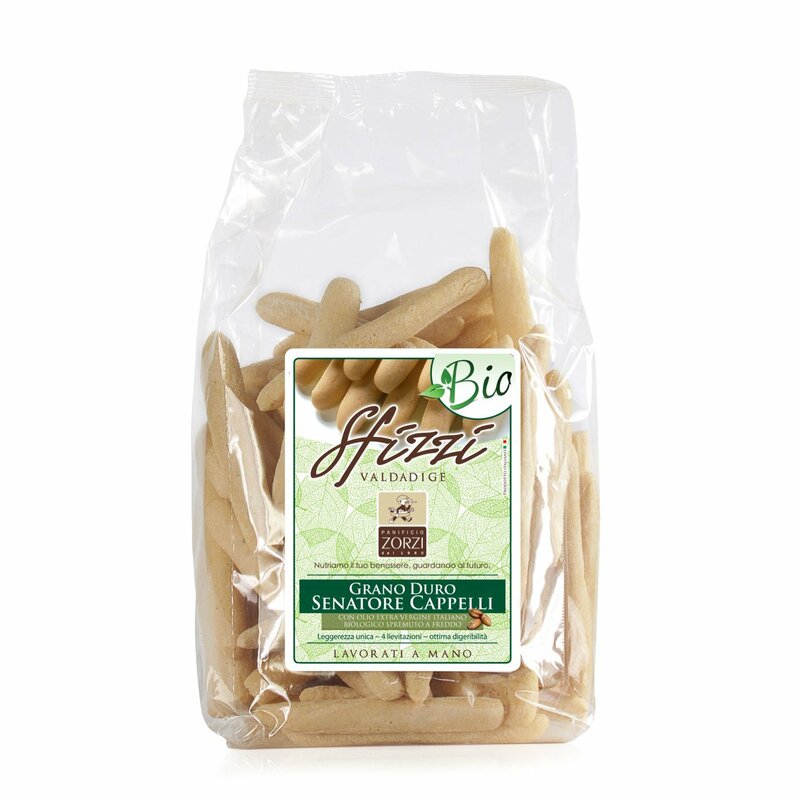 This product does not contain any additives or preservatives, and therefore is perfect for those who place importance on healthy and balanced food. 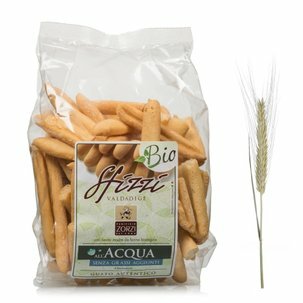 Ingredients Remilled organic “Cappelli” durum wheat semolina, Organic extra virgin olive oil 5.7%, Kamut Starter Yeast, Salt. Allergens: gluten. May contain traces of sesame, soya. For more information on product labels, please contact our Customer Service department. The information on the labels of the products may vary for reasons beyond our control, therefore, there may be discrepancies between the information on the site and that on the products delivered. Please always check the information on the product before consumption or use.